endar tells me, has said that “only until all of mankind lives in harmony with nature can we truly decree ourselves to be an intelligent species”. I’ve no idea who Haldane is or was, but she’s right. And you don’t need to be terribly intelligent to realise it. Even most economists get it. It’s blindingly obvious that the economy – that is, human production and consumption of goods and services – exists within the natural environment. It’s equally clear that economic activity can damage the environment and its ability to function. We’re exploiting the environment in ways that are literally unsustainable, and must stop doing so before the damage becomes irreparable. But if it’s all so obvious, why are we having trouble doing what we know we should? Why, for instance, has more fighting broken out over our use and abuse of the Murray-Darling river system, a problem we’ve been told our governments – state and federal – are busy fixing? One reason is that some people – not many of us – earn their living in ways that damage the environment, and don’t want their businesses and lives disrupted by being obliged to stop. Often, they don’t bear the cost of the damage they’re doing. It’s borne by farmers downstream, or by the wider community, or the next generation. 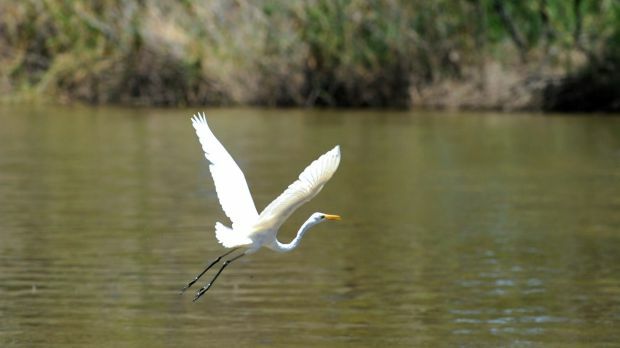 In the case of the Murray-Darling, it’s only the costs being born by downstream irrigators – and downstream water drinkers in Adelaide – that keep the fight alive. Since it’s hard to be sure when damage to the environment has reached the point of no return, there’s a great temptation to say doing a bit more won’t hurt. I’ll be right, and the future can look after itself. Business people think that; politicians even more so. Democracy has degenerated into a battle between vested interests. Get in there to fight for your own interests, and don’t worry about whether it all adds up or what happens to those who lose out. The political parties have succumbed to this approach. They’re too busy keeping themselves in power by oiling enough of the squeakiest wheels to worry about showing leadership, about the wider community interest or about any future beyond the next election. I don’t trust any of them, nor the Murray-Darling Basin Authority they appointed, which seems to see its job as assuring us everything’s fine, when clearly it isn’t. 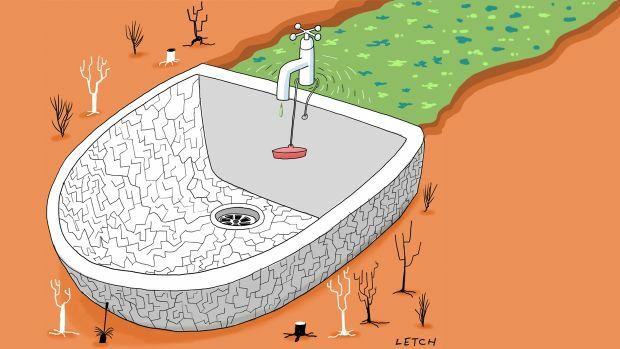 Just how bad things are – how little progress has been made, how little has been done and how much spent on subsidies to irrigators – is made clear in a declaration issued this month by a dozen academics – scientists and economists – led by professors Quentin Grafton and John Williams, of the Australian National University, who’ve devoted their careers to studying water systems and water policy. 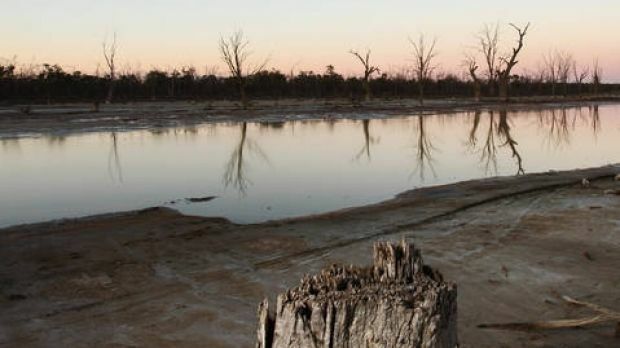 It took until late 2012 for federal and state governments to agree on a basin plan to reduce water diversion by 2,750 gigalitres a year by July 2019, even though this was known to be inadequate to meet South Australia’s water needs. So far $6 billion has been spent on “water recovery”, with $4 billion going not on buying back water rights but on subsidies to irrigators to upgrade to more efficient systems which lose less water. Trouble is, those loses were finding their way back into the system, but now they don’t. This has left the irrigators better off, but it’s not clear there’s much benefit in greater flows down the river. And no one has checked. There’s little evidence of much environmental improvement as a result of all the money spent, and river flows have been declining since 2011. 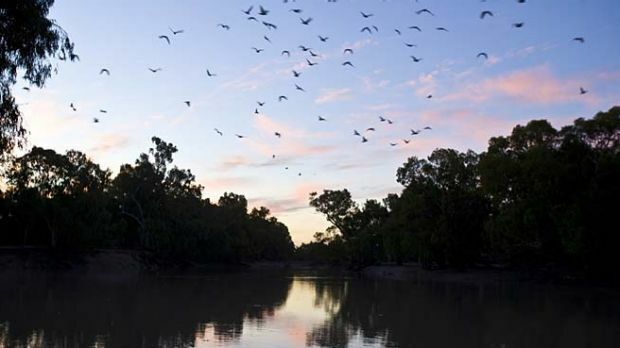 Until the ABC’s 4 Corners program in July last year, many Australians were unaware of alleged water theft, nor of grossly deficient compliance along the Darling River. State governments don’t seem to be trying hard to fulfill their commitments under the 2012 agreement. Nor did the feds seem to take much interest when Barnaby Joyce was the minister. The blow-up over the Senate’s refusal to go along with a new round of reductions in the amount by which water extraction from the river is to be reduced – supposedly to be offset by increased spending on dubious engineering projects – is just the latest in the various governments’ pretence of fixing the environmental problem, while quietly looking after their irrigator mates. Published in The Sydney Morning Herald on Wednesday 21 February 2018. Ross Gittins is the Economics Editor of the SMH.